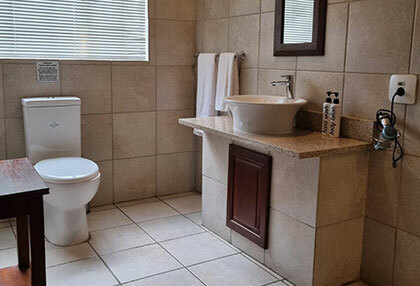 If you are looking for a lodge or accommodation in Henley on Klip, The Village Guest House is the perfect establishment for you. 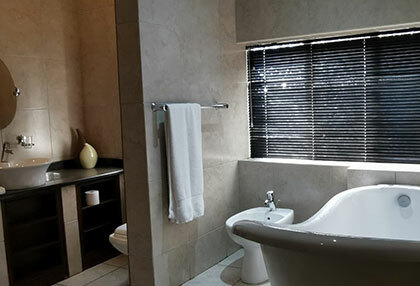 This Henley on Klip lodge offers guests luxurious accommodation, well complemented by fine dining and professional service. 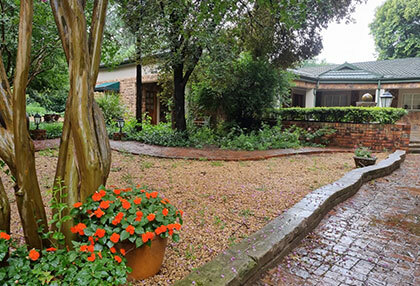 The Village Guest House is a 4 Star graded establishment, and is situated in the heart of Henley on Klip.. 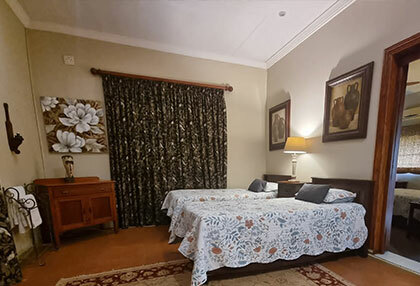 The Village Guest House is a well-rounded establishment, and the lodge offers guests all the needed facilities such as a swimming pool, braai facilities, internet services, air conditioning, secure parking and laundry services. 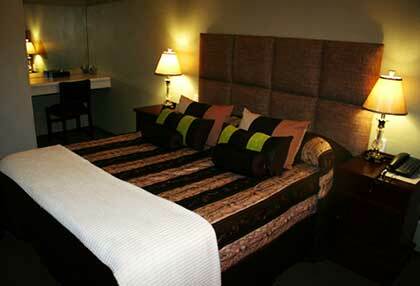 The lodging consists of 7 luxurious rooms, well-furnished to suit all your requirements. 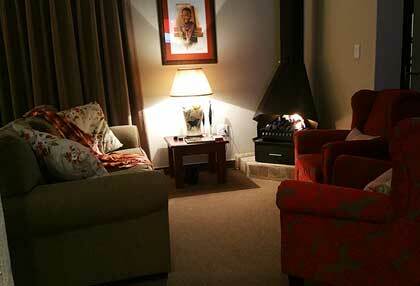 The Orchid Room at the Village Guesthouse is a true gem at this country style lodge in Henley on Klip. 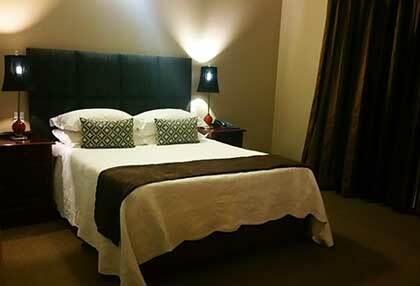 The room is furnished with a romantic double bed, as well as a loft with two single beds – making this room ideal for family weekends and leisure getaways for four. 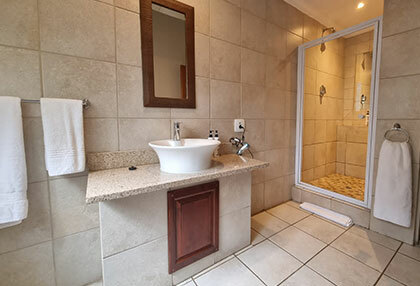 The room also boasts a private entrance leading to the pool area, and the large on-suite bathroom is fitted with a spa bath and double shower! 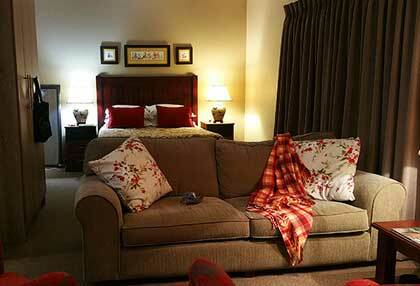 This is truly a spacious suite, and is a popular choice at this Henley on Klip lodge. 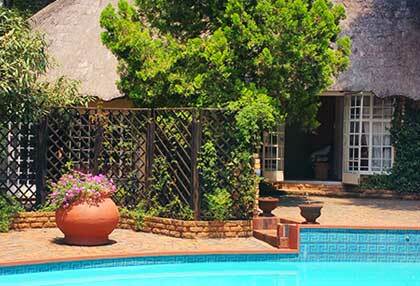 Dining at The Village Guest House can be described as an alfresco style setup. 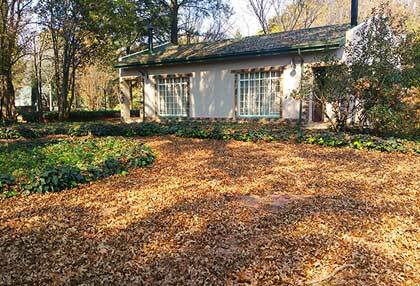 This outdoor dining (if weather allows) is a very enjoyable experience. Our freshly baked muffins and scones are a favourite amongst guests, and are well complemented by our homemade preserves and jams. 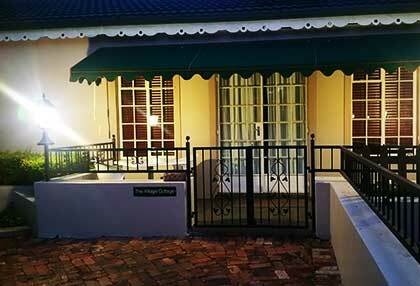 We offer a variety of dishes for breakfast, and you will leave the lodge feeling more than satisfied when embarking on your day excursions in and around Henley on Klip. 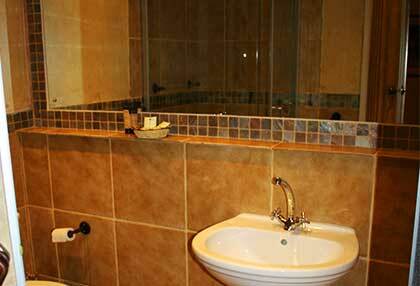 Lunch and Dinner is available on request, and we also provide lunch packs for our business guests prior to arrangement. 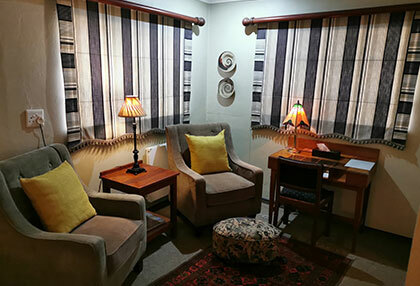 The Village Guest House is a four star graded establishment, and true to every aspect thereof – our staff are both professional and friendly, and will aim to make your stay as comfortable as possible. 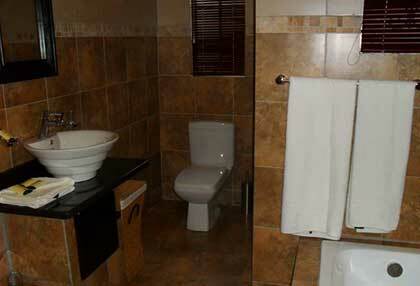 You are welcome to let us know should you have any special requests and requirements. 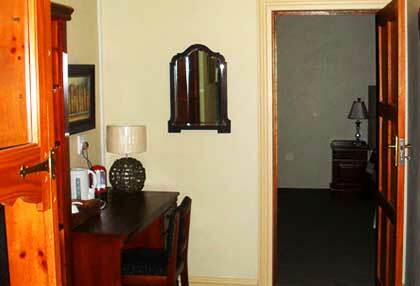 The rooms are equipped with all the amenities as outlined for four star establishments, which includes a television with DStv, a bar fridge, internet connection, intercom and telephone, hospitality tray for tea and coffee, microwave and air conditioning. 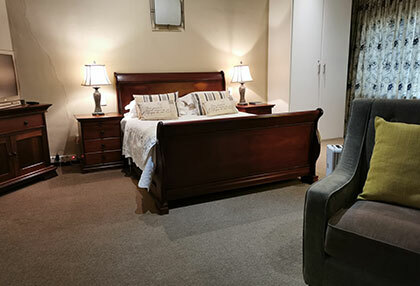 You will feel right at home when booking into The Village Guest, the preferred Henley on Klip lodge style accommodation establishment. 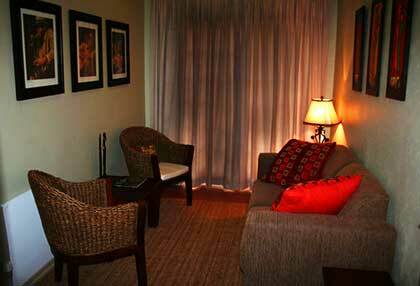 Our team will go out of their way to provide you with an enjoyable stay. 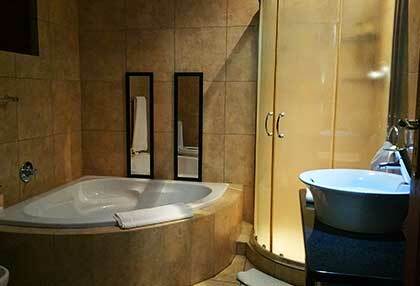 Contact us today to book your stay or enquire.